GOA Welcomes South Dakota to the Constitutional Carry Club! 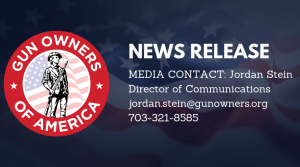 Springfield, VA – Gun Owners of America (GOA) today celebrated the Mount Rushmore state for becoming the 15th permitless carry state. Gun Owners of America mobilized the grassroots in the state in favor of SB 47, with alerts that can be seen here and here. According to FBI statistics for 2017, the states of New Hampshire, North Dakota and Maine have the lowest murder rates. 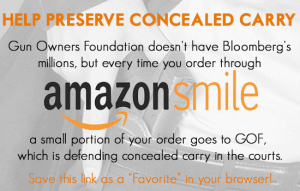 All three are permitless carry states. South Dakota now joins the other 14 Constitutional Carry states: Alaska, Arizona, Idaho, Kansas, Maine, Mississippi, Missouri, New Hampshire, North Dakota, Vermont, West Virginia, Wyoming — and most of Arkansas and Montana. Furthermore, there are roughly another dozen additional states that have Constitutional Carry for open carry. Erich Pratt, or another GOA spokesman, is available for interviews. Gun Owners of America is a nonprofit lobbying organization dedicated to protecting the right to keep and bear arms without compromise. GOA represents over 2 million members and activists. For more information, visit GOA’s Newsroom.